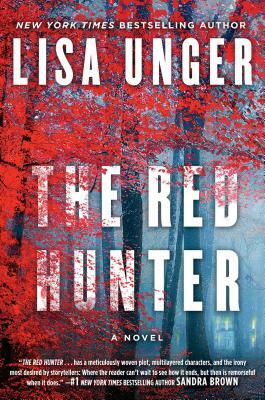 Lisa Unger’s sixteenth book, The Red Hunter, is a non-stop thrill ride. This is not an uncommon way of describing Unger’s books, which all almost always feature nonstop twists and turns, dark characters and even darker worlds around them. The Red Hunter stars two women: Claudia Bishop, who moves into the house where Zoey Drake’s parents were brutally murdered, seemingly in cold blood. As the novel opens up and unravels, there seems to be a lot left unsaid about these crimes—the crimes that haunt this house are not all that they seem, and may in fact be much more than the reader first guesses. But that’s for the reader to find out, as Unger masterfully tells the stories of these two women, including one who is eager for blood, and to seek out justice for past wrongs. I’ll try to say little else about the plot for now. After all, that’s part of Lisa Unger’s art. She is great at plotting out a serious suspense-thriller, and is one to unravel the mystery slowly and in a tight labyrinth of twists and turns, always ready to send her readers in for a shock. Known for her prolific writing and her impeccable style, Unger has written nearly twenty novels that continue to get better and better, novel after novel. Unger is unafraid to cross genres and dig deep into the darkness of her characters and their situations, exploring the taboo and the uncanny as easily as most writers author sentence after sentence. Unger is one of America’s leading crime writers because of her ability to truly twist the worlds she creates, both in a dark and fantastical way, but also in a crooked and unassuming way, creating situations and storylines that will leave the reader unable to guess what’s coming next. With books like Ink and Bone, a mysterious and magical thriller, and In the Blood, a book that came highly recommended to me and did not fail to disappoint, Unger reveals her ability to craft unique and riveting tales that defy the expectations of fans and critics alike. Indeed, it is a pleasure and a challenge to tackle Unger’s extensive bibliography, and lucky for readers she is prolific enough to provide books for readers to continue to enjoy again and again. Her books are also complex enough they may need more than one read to fully appreciate all of their intricacies. One of the greatest aspects of reading a Lisa Unger novel is always thinking one knows what’s happening and finding out later they do not. Unger is a genius when it comes to creating scenarios the reader thinks will be easily discovered, only to have the reader dive deeper and deeper into a maze there may be no escape from. The Red Hunter is no exception. Read Lisa Unger’s latest, and catch up on her brilliant list of books, each more exciting than the next. She is certainly not an author to be overlooked—and as a best-seller, being overlooked is certainly not a problem for Ms. Unger. Everyone seems to have a favorite Lisa Unger book—what will be yours?